Home EU INSTITUTIONS A Feminist platform for the European elections! 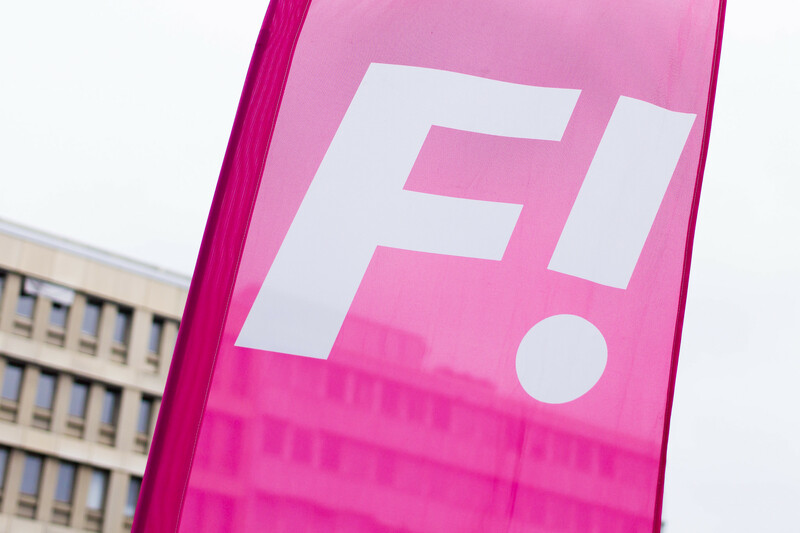 A flag of Feminist Initiative during a public meeting in Stockholm, Sweden. Today the Feminists United Network Europe (FUN Europe) had a meeting in the European Parliament in Brussels and agreed on a common platform for the upcoming European Elections. “We, feminists, are mobilising because we see how nationalists and far-right movements are threatening our democracy, human rights and the rule of law. We are the leading resistance to these evil forces,” says FUN Europe common EU electoral platform. The European feminists support everyone’s right to feel safe. They call to stop all violence, commodification and discrimination for each and everyone. They fight for nature´s rights and call to stop climate change now. Stop fascism, nationalism, right wing extremism and militarism says FUN’s platform as they declare their commitment to practice peace. FUN supports the right to abortion as well as the right to asylum. They call to create safe routes to Europe for those in need. “Solidarity among feminists in the EU and beyond is the key. We stand united for our common goals and with a coherent single- voice,” said Roxana Marinescu, Romanian Society for Feminist Analyses. “We now have a Feminist platform for the European elections, we are a force to be reckoned with. Europe Needs Feminism now more than ever, we need to unite feminists, anti racists and human rights activists to create true sustainability for ourselves and the planet,” added Stina Svensson, Feminist Initiative Sweden.